Have I mentioned that Andrew and I love Littleville? 18 years in, and one child born here, we are so at home we’ve picked our cemetery. When the kids became old enough, we would leave them for an hour or so on sun-spangled Saturday afternoons for a motorcycle date – a free and glorious ride down county roads that smelled of earth and looked like heaven. Gradually our motorcycle dates took the same road every time – past the gun club and stone house, a wave at the turn to Dale and Christie’s, across the low bridge in the curve, through the four-way that got hit hard by the tornado, and up the gravel path to the hilltop cemetery marked with a wrought-iron sign. It was a peaceful place to talk and wander. Those dates are on hiatus for now because one Moto Guzzi motorcycle is worth a few months of college tuition. But I am not complaining. The memories are close to perfect. Meanwhile, because I am Littlevillian enough to plan to be buried here, I feel qualified to compile a list of local terms and usages that newcomers need to know. *This one takes a little getting used to because to the uninformed it seems that the speaker is bodily carrying Misty, when in reality it is a vehicular carry. *This adjective is reserved for male toddlers and is used by grandmothers and mothers. With pride. ‘s – The possessive ‘s’ is added liberally to businesses whose names end in a consonant, i.e. Belk’s, Walmart’s, Kmart’s, Shogun’s, etc. This makes perfect sense and needs no defense. This partial list is offered with joy and humility and the knowledge that lifelong Littlevillians will be puzzled over it. What, they will ask, is odd about these words, or worthy of note? This entry was posted in Literary and tagged Alabama, Belk, comeapart, Decoration, dictionary, Gulf Shores, Littleville, Moto Guzzi, motorcycle. Bookmark the permalink. I laughed so hard I almost peed my pants. Don’t stop writing! If you were a writing company I’d buy all your stock! I am seriously offended! I have been working for decades to “forget” some of my Mississippi vocabulary, and I think I just heard some in Littleville! Oh please make this one disappear! I love your proper usage of the English vernacular. I am certain for an accomplished English major, writing this blog was painful. Julie, on the contrary, it wasn’t painful at all. I love the cadences of Littleville. 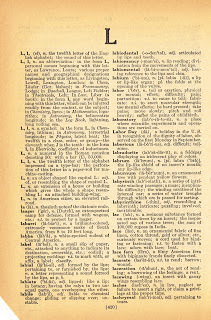 A wonderful dictionary for a wonderful town. Hi Mother-in-law! I will add ‘tumped’ to the list of suggested words if I ever do an addendum. ‘Fixin’ was already suggested. Love you and see you soon!